The terms inspirational and role model are bandied about all too easily in sport, but Kadeena Cox is worthy of and lives up to the descriptions. The 25-year-old from Leeds at September's Rio Paralympics became the first Briton in 28 years to win two medals in two sports at the same Games. She is the first in 32 years to win golds in different sports, having topped the podium in athletics and cycling. And she was chosen as flag bearer for Britain's most successful Paralympic team since Seoul 1988. Cox's achievements are all the more remarkable as they came two years after she was diagnosed with multiple sclerosis, a progressive illness which could become more debilitating over time. "I've thought about the diagnosis itself once or twice, but it just brings me to tears realising how far I've come. "My focus now is what more can I achieve. I achieved a few great things in Rio, but I know there's so much more I can do and I want to do. It's all about looking forward now." She won the C4/C5 500 metres time-trial on the bike in the velodrome before claiming gold on the athletics track in the T38 400m. 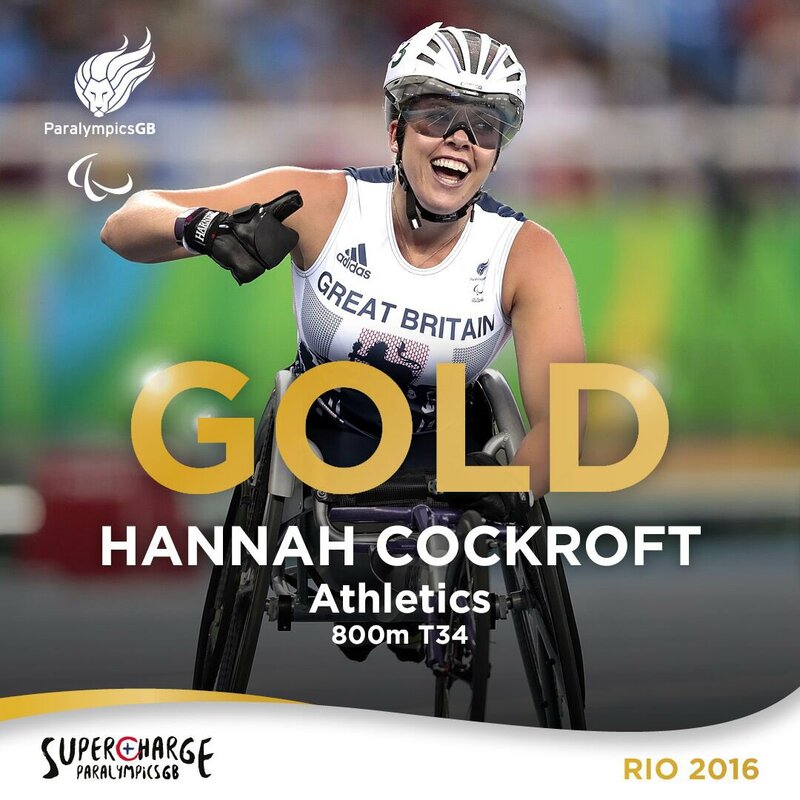 Her main focus for 2017 is taking gold at the London Stadium at the IPC Athletics World Championships. Her physiotherapy degree concludes in 2018 - the long-term goal is to run her own business - and there is a European Championships in athletics, a to-be-confirmed Para-Cycling Track World Championships, plus the Commonwealth Games. A busy year, even by Cox's standards. She hopes to go for four, possibly five, events in Tokyo at the 2020 Paralympics and then also compete in the 2022 Winter Games in Beijing, when para-bobsleigh will be on the programme. The reason she competed in two sports in Rio was because she knew she might not get the chance to compete at all in Tokyo. And she knows all her targets depend on her MS.
"That's something that's in the back of my mind. It was, for a while, something that was in the forefront of my mind and something I'd constantly think about. "And I wouldn't really plan too far ahead in the worry that my life could change due to my condition. "Right now I take each day as it comes and I plan for what I want to achieve and if those change due to my condition then I just deal with it when I get to that point. "My goals may change, they may not change, but right now those are my goals." Cox is inspirational for another reason. She was brought up in Chapeltown, a deprived area of Leeds. She is now working in the community, trying to instil confidence in youngsters. "I'm from not the best of communities, but it's nice to be able to stand there and show young people what can be achieved. "There's so many young people that go down the wrong path, just because they think there's no other option or there's nothing there for them. "Just having someone to point them in the right direction and show them that it is achievable just allows them to see that there is more to life than drugs and crime. "There's not very much in the way of athletics coaching or sport in general. "I want to help with somebody who is working in the community already to try to bring more stuff locally, so it's something that is more readily available to them." Cox has described life since Rio as "crazy". She is recognised wherever she goes and asked for selfies and autographs. She was also named as one of the 16 nominated athletes for BBC Sports Personality of the Year. "My family manage to keep me grounded. "I get told the gold medals mean nothing. I'm one of seven children, so there is no special treatment allowed. "My mum did try it for a bit, but then my sisters picked up on it. Back down to reality." Northallerton’s Town Square is be renamed ‘Olympic Square’ in honour of the district’s Olympians and Paralympians. 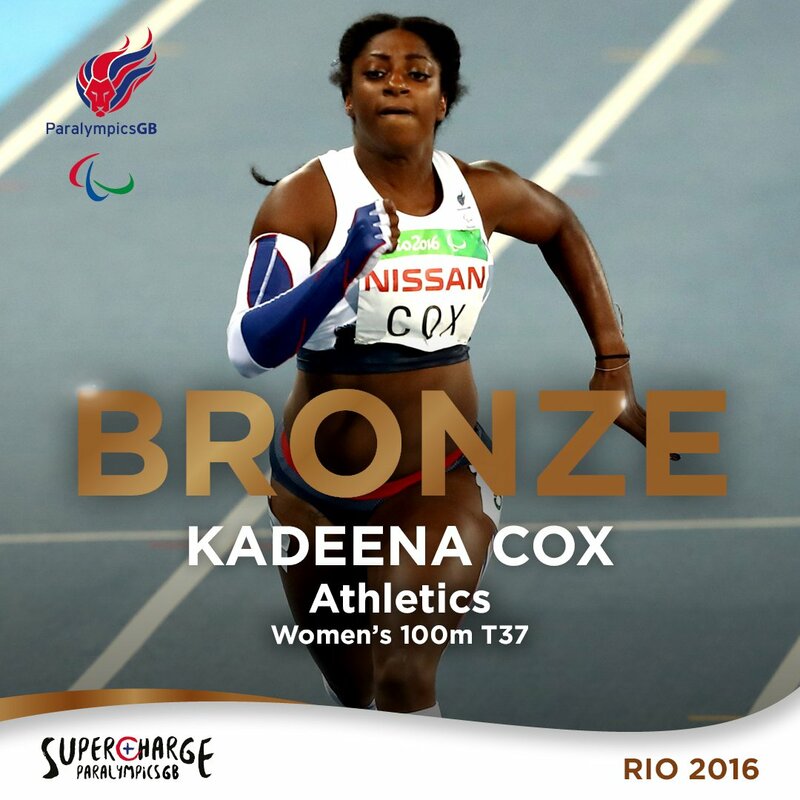 Leeds' Kadeena Cox has claimed a bronze medal in the Women's 100m T37 at the Paralympic Games in Rio. 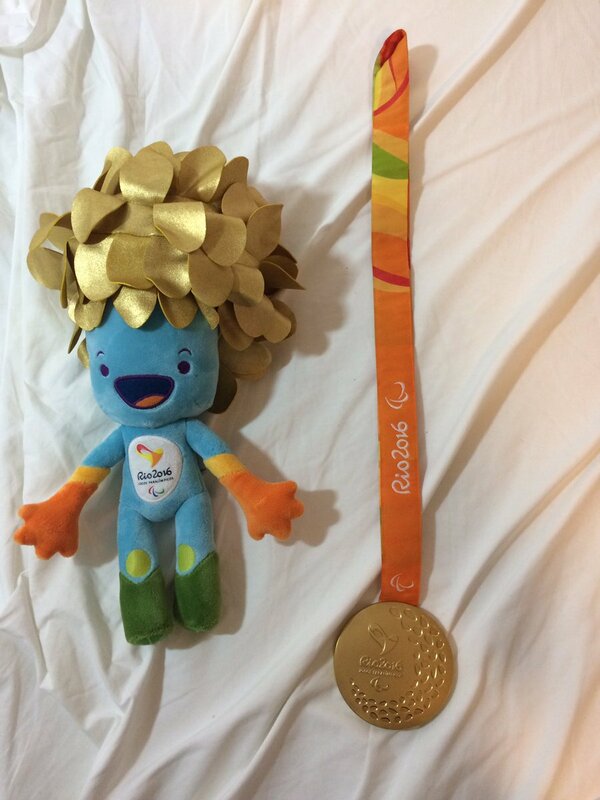 Mansfield's Paralympic star Ollie Hynd has taken to Twitter to share a picture of the Gold medal he won last night with a world record time in the S8 Men's 400m freestyle. The leader of Leeds City Council, Judith Blake, has issued a good luck message to the ParalympicsGB ahead of the Rio 2016 Games. We would like to wish Team GB and all our Leeds and Yorkshire athletes the very best of luck in the Rio Paralympic Games. We cannot wait to see them perform on one of the world’s biggest sporting stages, and as always all of our local athletes can be guaranteed of tremendous support from the Leeds and Yorkshire public. A special Yorkshire homecoming event is of course being held in Leeds on September 28 which will be a fantastic way in which to recognise and congratulate all of our Paralympic and Olympic athletes on their performances in Rio. The Paralympic legacy has come to Sheffield today with some of the stars from the 2012 games on hand to inspire the next generation of athletes. The Paralympic GB sports fest event is giving youngsters the chance to try their hand at a range of events - for many for the first time. Martin Fisher was there.